2. a specific dimension of the White Lotus System of Unarmed Combat®. 2. an expression that refers to the ideologies, practices, and standards associated with a specific series of studies; e.g. WLS 001 Learning Preparation / Elemental Concepts. Course Introduction: From the inception of martial arts to recent times nothing has been more ambiguous to martial art students than the processes associated with the learning of art form events and combative events. Since the very beginning, the teaching of art form events and combative events has relied on the recognition, coordination, and emulation of these events. Today, these three basic processes are deemed to be quite superficial in light of the “New Evolution of Martial Preparation“. Although the physical processes of martial art masters have been replicated over the years, their mental processes, emotional processes, and associated beliefs have not been. As a result, martial art students have had to develop their own mental processes, emotional processes, and beliefs. Most students are incapable of developing the mental processes, emotional processes, and beliefs needed to engage, adapt, under random combative conditions and achieve combative objectives with a high and measurable degree of consistency. At best, these same students just end up replicating the physical processes (biomechanical events) they’ve been taught. Hoping, that these biomechanical events will enable them to engage with some measure of success. Unfortunately, these same students will fail to achieve the success they so desperately seek. In the beginning, few students, if any, really understand what martial preparation is about. Generally speaking, art form preparation is about learning the physical processes associated with a series of guarding events, striking events, blocking events, parrying events, grappling events, and/or throwing events. Students, that this level of preparation, are taught the physical processes that are symbolic of combative events. In addition, they’re taught basic intellectual associations, like the labels that are used to identify biomechanical events. Most art form students do quite well and are able to learn the biomechanical positions, biomechanical actions, biomechanical presentations, and biomechanical patterns that are imparted to them. The basic processing skills they posses prior to starting art form preparation seem to serve them well. This is why the majority of art form practitioners are able to recognize, coordinate, and emulate biomechanical positions, biomechanical actions, biomechanical presentations, and biomechanical patterns. In our opinion, combative preparation should be about developing combative processes and establishing non-conflicting beliefs that will enable graduate students to engage, adapt, under random combative conditions. Engage and when needed, adapt in a manner that will further enable them to achieve their combative objectives with a high and measurable degree of consistency. The ability to achieve this level of skill is no simple task. The basic processes and beliefs that enable art form practitioners to complete art form preparation will not serve them in combative preparation. In the beginning, it’s difficult for students to accept that their normal day to day processes not serve them in combative preparation. The fact that they can get through each day, and are more than capable of doing whatever it is they set out to do, simply impedes their receptivity. In combative preparation, the key to success lies in absorbing, accepting, and adopting a learning process that enables one to develop reality based processes and establish non-conflict beliefs. In the White Lotus System, this learning process is often referred to as the “Learning Mechanism“. This mechanism represents the very core of combative preparation. The “Learning Mechanism” is not something that prospective students understand or even know about. Whether or not you’ve had previous martial training, the ideologies and practices associated with learning preparation will further your knowledge and skills beyond that of your current achievements. The ideologies and practices associated with learning preparation represent an important aspect of the “New Evolution of Martial Preparation“. 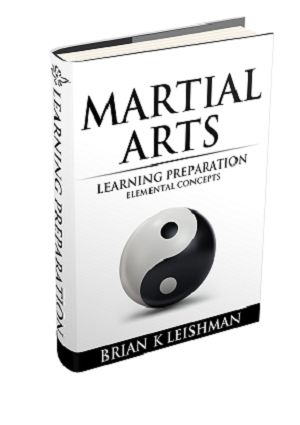 Years ahead of conventional methods of martial preparation, this study will provide you with valuable insight into the system’s learning process. Initially, learning preparation is segregated into the following categories of content; language, structure, framework, personal attributes, and reality based transformations. Upon becoming a member, your task will be to absorb, accept, and adopt the ideologies and practices associated with the content in this study. As a White Lotus practitioner, your understanding of learning preparation will further as you absorb, accept, and adopt the ideologies and practices imparted in each of the associated lessons.